Donald Winford is a Professor in the Department of Linguistics at the Ohio state University. He completed his D. Phil. (Linguistics) at the University of York, UK, with a dissertation titled “A Sociolinguistic Description of Two Communities in Trinidad.” He served as Assistant Lecturer in English Language and Linguistics and then as Lecturer and Senior Lecturer from Feb.-Sept. 1972 to September 1988 at The University of the West Indies, St. Augustine, Trinidad. He has been at the Ohio State University since 1988. His teaching and research interests are in creole linguistics, variationist sociolinguistics, contact linguistics, and African-American English, and he has published widely in those areas. 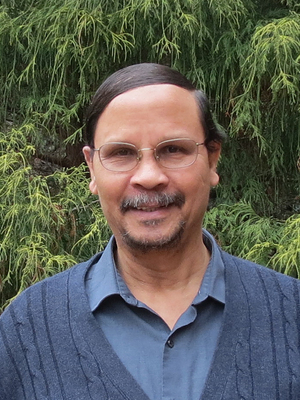 His current research projects include a study of Gbe influence on the Surinamese creoles, and an investigation of Kwinti and Matawai, two under-researched Maroon creoles of Suriname. He also continues work on the integration of linguistic and psycholinguistic approaches to language contact phenomena, using Van Coetsem’s model of language contact as a basic theoretical framework. He served as president of the Society for Caribbean Linguistics from 1998 to 2000 and has been editor of the Journal of Pidgin and Creole Languages since August 2001.